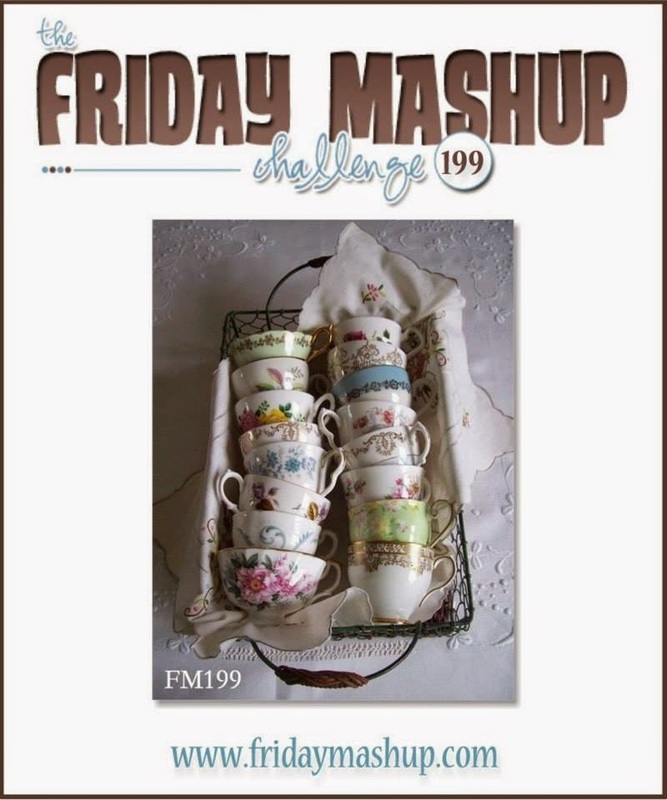 Good Friday morning and since its Friday, it must mean that its time for another challenge over at The Friday Mashup! Tara is feeling antiquee and she has come up with a great mashup for everyone. When I think of antique, I think of my Mom's blue and white dishes she likes to collect. 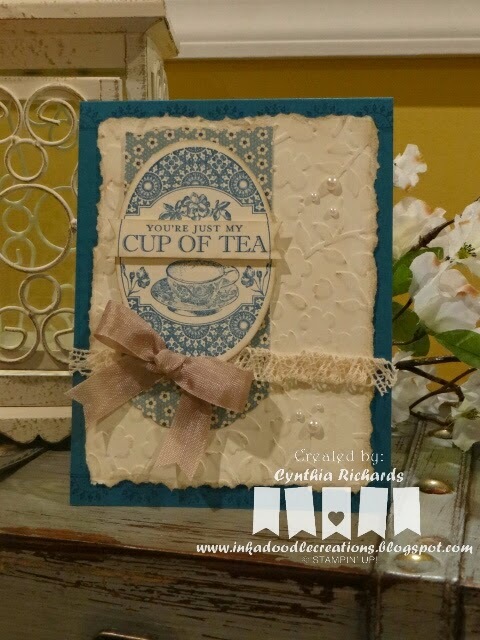 I just love the Stampin' Up! Tea Party stamp set. It was perfect for this challenge and the added lace trim brought it all together.